The foreword by the late Sir David MacKay (previously available only on our Paris COP21 special edition of the book, and on the book’s website). We owe David so much, both for his own excellent work that also was a big inspiration for us to write this book and for providing the foreword. Our condolences to family and friends. Some notes: We have pulled the current paperback from Amazon (although it is still available through some sellers), and the new edition should appear in a few days, certainly by the first of April, 2017 (no, this is not an April Fools joke ). The title has 2017 edition on it, to make it stand out. See also our book pages: 2017 edition of Climate Gamble! 10 Responses to 2017 edition of Climate Gamble! Unfortunately (for me) I bought the paperback only last time so no Kindle update. 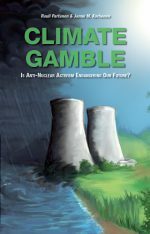 FYI, I had a sample of Climate Gamble in my Kindle so checked if it was the latest. At least the cover hasn’t changed (no “2017 Edition” sticker in RHS lower corner). I also checked both the .com and .ca sites and the book preview selections seem not to have changed. but I don’t see such an option via Amazon. How do I do that? Sorry, correction: The .ca site does have the updated preview however the .com site does not. I have the 2015 Kindle edition via amazon.ca, but it is not updating to the new version – at least as yet. Further, if I go to the amazon.ca website, the only edition available now is the 2017 version, but if I try to “add” it to my collection, I am advised that I already have it (I do not. I have the 2015 version still). Hm, have to say I’m totally unfamiliar with how the Kindle update system actually works. I’ll ask Rauli if he knows what’s the matter. Before you enable the Automatic Book Update feature, make sure Annotations Backup is turned on for your Fire tablet, Kindle E-reader, or Kindle reading app to sync your notes, highlights, bookmarks, and furthest page read. For more information, go to Back Up Your Bookmarks, Notes & Highlights. Note: Annotations Backup is enabled automatically and can’t be turned off on Fire tablets. On the discount question, I just lowered the “normal” price for both the paperback and Kindle edition by a buck or two, but it might be only for the .com store, and I’m not actually sure if they will get automatically updated to other currencies/markets as well, I need to check it out. I too have been unable to update my 2015 1st Edition on Kindle to the 2017 edition. Have tried all of the suggestions above … and still no go. Getting a bit frustrated, as I would like to be reading the most up-to-date version. Will contact Amazon directly on Monday but if anyone can help would be appreciated. thanks. Hi Robin, sorry to hear that. I’ll notify Rauli, who’s more knowledgeable about how Amazon works (or not). 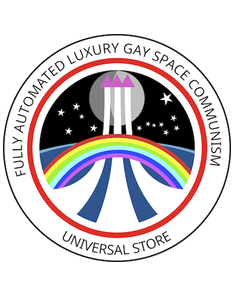 Which store are you using?